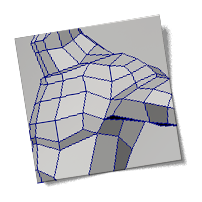 The information below was developed by Markus Tessmann as reference for modelling the human figure. The illustrations and descriptions presented here were created to guide artists who are comfortable modelling in 3D but may not have experience with the human form. The process of sculpting a human or animal figure remains as much art as science, but following the steps shown here will surely result in a good workable representation of the human form. These examples are not meant to be the final word in figure modelling and many of the examples would benefit from further refinement. 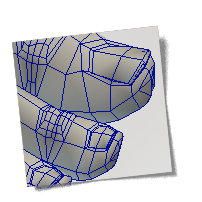 Starting with a cube, the body is developed through extrusion and edge-flipping. 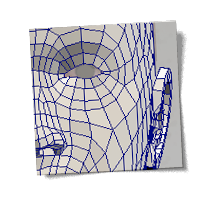 Using accurate reference, the head is created one polygon at a time to properly capture all the details that make each face unique. Getting the hand right is mostly about the fingers. Hands are very expressive and almost as important as the face for establishing character. 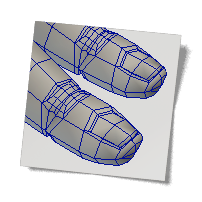 Factoid: Most characters have feet and some are really interesting! Please view his resume here.